President Uhuru Kenyatta and his deputy William Ruto were in Kakamega the capital of Western province where key Luhya politicians skipped the state functions apart from Uhuru meeting them at a funeral service of the late Captain Harrison Makaka Okang’a, who perished in an aircraft crash in Nairobi’s Embakasi area on July 2. Uhuru attended the funeral as the Mourner-in-Chief, courtesy of the late Harrison’s brother, Major-General (Rtd), Jeff Okang’a, who is Kenya’s High Commissioner to Kampala, Uganda. The envoy holds a plum slot and a strategic place both politically and economically. Uganda’s President Yoweri Museveni backed Uhuru and Jubilee against Raila Odinga and when Uhuru was in Kampala, the High Commissioner was at hand to welcome him. Insiders say during the constitution of Jubilee cabinet, the High Commissioner was considered for the position of Defence, currently held by Rachael Omamo. However, due to political balancing between URP and TNA, not forgetting the tribal aspect, not to annoy Ruto’s Kalenjin fiefdom, he was not to land the slot. He is regarded as a disciplined soldier and the best jet-fighter in East and Central Africa. Fear was that if a prominent Luhya was to be named to the Defence secretary and the community having voted for Cord, it could have raised eyebrows in the government then. Back to the Uhuru’s visit and for the first time, he spent a night at Kakamega State Lodge in what insiders say was symbolic. Ever since he took the reins of power, the president has been at Sagana State Lodge and Mombasa State House. At Nairobi State House, Uhuru according to sources, only works from there and prefers to walk across to his own house across the fence to sleep. The house is located on Dennis Pritt Road and was donated to the late founding President Jomo Kenyatta, Uhuru’s father, by Aga Khan at independence. In Kakamega, Uhuru’s first engagement was to host Muslim leaders for a dinner. He then commissioned already existing roads in Vihiga, Kakamega, Bungoma and Trans Nzoia counties. He also held meeting with members of the county assembly. Apart from Ruto, those with Uhuru were Adan Duale and Mike Sonko among others. Uhuru to endear himself to Luhyas claimed Amina Mohammed, the Foreign ministry secretary was born in Kakamega’s Kambi Somali Estate. From the look of things, Amina who happens to be a Muslim brokered the Kakamega visit with some State House operatives. Among those who skipped the funeral were Musalia Mudavadi, Kenneth Marende, Soita Shitanda, Andrew Ligale, Moody Awori and Wycliffe Oparanya. Firebrand and vocal trade unionist Francis Atwoli was not available. 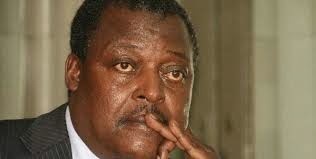 Despite his own bereavement having lost his mother, Cyrus Jirongo attended as did Bonny Khalwale attended. Those also present happened to be first time MPs mostly allied to UDF of Mudavadi; Benjamin Washiali (Mumias East), Emmanuel Wangwe (Navakholo), Bernard Shinali (Ikolomani) and Yusuf Chanzu (Vihiga) and ODM’s Shinyalu MP Anami Lisamula. No senator or governor graced the visit further complicating issues except Khalwale attending the burial. 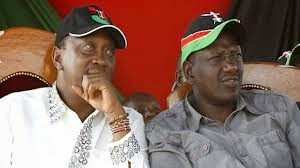 Word has it that majority of prominent Luhyas were not invited due to Ruto who is out to create a new power base in Luhya politics by sidelining those he sees as likely rivals in his presidential dream. Political analysts say that Uhuru’s plan to use development projects to win the community by sidelining its prominent sons is a big political gamble. They give an example where during presidential campaigns involving then Daniel Arap Moi and Mwai Kibaki, goodies including roads, revival of Pan Paper Mills and even appointment of Luhya as vice-president were done but the region still voted for opposition. The argument is that to bring on board the community, one has to work with political heavyweights to split the community in his favour as it happened during the Moi and Kibaki regimes. Moi perfected the act by bringing Maragoli and other small tribes together and then isolating the Bukusu who Maragoli of Mudavadi, are the most populous among the Luhya nation. On the other side, Kibaki brought Bukusu on his side, subduing Maragoli who were allied to Raila Odinga. For Uhuru to effectively penetrate the region, he has to forge an alliance with Mudavadi since as things stand now, the Bukusu happens to be comfortable with Moses Wetang’ula position in Cord. And at the burial of Jirongo’s mother, Mama Selina Ikonanga Jirongo “Musuba” in Lumakanda, Kakamega county, on Saturday, Cotu secretary general Francis Atwoli took a swipe at Ruto for being the force behind the tribulations and sidelining of prominent Luhyia sons and daughters from government. Ruto who arrived later after Atwoli had spoken steered off regional politics. Atwoli said his problems at NSSF were being engineered by Ruto and not Labour secretary Kambi Kazungu, whom he described as a junior. The combative Cotu boss made it categorical that the woes bedeviling the Luhya community were being fuelled by the DP who even having been with Jirongo in YK92, he had blocked him alongside Mudavadi, Eugene Wamalwa and other leaders from government. Ruto in his speech avoided Atwoli’s onslaught and instead chided Raila saying when the former PM was in government, he supported those who were for the new constitution and wondered why Raila had somersaulted yet he himself was stood with the “No team” that wanted the constitution bisected before being promulgated. 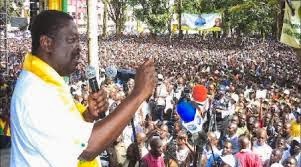 Mudavadi said calls for a referendum was a waste of time and that there was no money for such an exercise following the current economic crunch facing Kenyans and asked Cord to give Jubilee government time to manage the affairs of the state as there was time for everything. His sentiments were echoed by Wamalwa who said calls for a referendum were uncalled for and premature. Others were former speaker Kenneth Marende, MPs Ben Shinali, Alfred Agoi, Ayub Savula, Malulu Injendi (Malava), and nominated MP Wangamati, AFC secretary general George Alwada while Kakamega senator Bonny Khalwale and his Bungoma counterpart Moses Wetang’ula conspicuously missed the burial. Back on the national political chessboard, it is said whereas Uhuru is comfortable with Mudavadi, it is Ruto who is giving him a headache on how to accommodate his former associate and co-deputy prime minister. Unconfirmed reports have it that Uhuru aware of the complications ahead of his second term bid to State House, is forcefully pushing for appointment of Mudavadi and Eugene Wamalwa to plum government slots. Wamalwa was present during the president’s tour. Wamalwa is likely to be named an ambassador stationed in a strategic Western capital.